a. No refunds under any circumstances. Any and all payments made are not refundable for any including, but not limited to, failure to use RMC Credentials due to illness, acts of God, travel-related problems, acts of terrorism, lost of employment and/or duplicate purchase. RMC will not issue refunds for Credentials that have been revoked. b.	Unused Credentials have no monetary value and cannot be credited to future years or events. RMC will not issue refunds or credits due to failure to redeem a discount during the registration process. c.	Lost or stolen credentials will not be replaced. In the event Credentials are lost or stolen, new Credentials will need to be purchased for a Participant’s continued access to Events. d.	RMC reserves the right to revoke a Credential for any reason in RMC’s sole direction (for example, if anyone other than the authorized individual tires to use a Credential. As noted in Section 1(a) above, RMC will not issue refunds for Credentials that have been revoked). i. Credentials Policy - RMC Credentials are issued to, can be picked up by, and used by only the individual named in the registration. RMC Credentials are non-transferable. All RMC Credentials are the sole property of RMC, and can be revoked at anytime in RMC’s sole discretion. a.	RMC Credentials may not be used as a prize in any form of promotion, contest, game, and sweepstakes without pre-approval from the RMC. ii. RMC is a private event and has a weapons-free policy. Attending participants are prohibited from carrying weapons of any kind, including concealed or displayed firearms. Participants are not permitted to bring weapons onto the premises of any official RMC events. The RMC reserves the right, in its sole discretion, without refund, to deactivate and/or revoke the Credentials of Participants who violate this policy. iii. Event Participants are expected to behave responsibly and to treat each other – and treat the community – with respect, kindness, and compassion. RMC reserves the right, without refund, to revoke the Credentials of Participants who conduct is deemed inappropriate, disorderly or offensive by RMC, affiliated third parties or the local authorities. a. Under no circumstances are tripods, lights or elaborate set ups permitted in any RMC event, panel discussion, keynote or Q&A. b.	RMC Registrants are permitted to use hand-held cameras and/or smartphones to take photographs and capture digital images for personal, non-commercial use, provided the photography is not disruptive. c.	Registrants may take photos from their seats, as long as they are not obstructing views or using flash. d.	Photographs may not be published, sold, reproduced, transmitted, distributed or otherwise commercially exploited in any manner whatsoever. e.	“No live stream” policy - Under no circumstances are participants allowed to audio or video webcast, broadcast, or otherwise transmit, retransmit or copy in any form any RMC artist performance, conference programming, or film panel discussion, keynote or Q&A longer than :30 seconds. v.	Cable Cast Signs RMC Registrants grant REVOLT MEDIA AND TV, LLC, its parent companies and affiliates and REVOLT MUSIC CONFERENCE, its parent company and affiliates the right, but not the obligation, to photograph and film you and use your name, likeness, voice and other sound effects in the production, exhibition, distribution, promotion, publicity and advertising of this event in any and all media now known or hereafter devised throughout the world in perpetuity. vi. Pet Policy Information about the Eden Roc Miami Beach pet policy can be found here. vii. Each Participant understands that participating in the Events is voluntary and may involve certain risks of physical injury, damage to property, and other damages or losses that may be sustained by a Participant. Each Participant assumes all risk of damages, property loss, and personal injury, which may occur by participating in the Events. viii. RMC reserves the right to makes changes to the Terms at any time without notices to each Participant, so please check back and review the Terms from time to time. In event that any term or provision of the Terms shall be deemed invalid, illegal and unenforceable in any respect, such term or provision shall be deemed severable and shall not affect the validity and enforceability of any remaining term or provision. 2. What are the dates for the 2017 REVOLT Music Conference? The 2017 REVOLT Music Conference will take place Thursday, October 12 through Saturday, October 15. Check back with the website throughout the year for up to date information. 3. Where does the 2017 REVOLT Music Conference occur? The 2017 REVOLT Music Conference will take place at the Eden Roc Miami Beach. 4. When can I register to attend the 2017 REVOLT Music Conference?  Online registration for the 2017 REVOLT Music Conference will begin on Wednesday, May 25, 2016. You should register to attend RMC as soon as you have made a definite decision to attend. Those participants who are able to make a commitment to attend at an early date will receive discounted registration fees and have the best chance of securing hotel accommodations. Please make sure you have made the necessary travel arrangements required to attend prior to purchasing a registration since registration fees are non-refundable. i. Refund Policy - a. No refunds under any circumstances. Any and all payments made are not refundable for any including, but not limited to, failure to use RMC Credentials due to illness, acts of God, travel-related problems, acts of terrorism, lost of employment and/or duplicate purchase. RMC will not issue refunds for Credentials that have been revoked. d.	RMC reserves the right to revoke a Credential for any reason in RMC’s sole direction (for example, if anyone other than the authorized individual tires to use a Credential. As noted in Section i(a) above, RMC will not issue refunds for Credentials that have been revoked). ii. Credentials Policy - RMC Credentials are issued to, can be picked up by, and used by only the individual named in the registration. RMC Credentials are non-transferable. All RMC Credentials are the sole property of RMC, and can be revoked at anytime in RMC’s sole discretion. a.	RMC Credentials may not be used as a prize in any form of promotion, contest, game, and sweepstakes without pre-approval from the RMC. 5. Will the registration fee give me access to all events and workshops or are there additional costs? While there are no additional costs (other than food, beverage, housing and transportation) registration packages are specific and defined, with each including different elements of RMC. 6. I am an organization, how do I register multiple people under one form of payment? During the registration process, on the Summary Page, you can register multiple people before entering final payment. e.	No refunds under any circumstances. Any and all payments made are not refundable for any including, but not limited to, failure to use RMC Credentials due to illness, acts of God, travel-related problems, acts of terrorism, lost of employment and/or duplicate purchase. RMC will not issue refunds for Credentials that have been revoked. f.	Unused Credentials have no monetary value and cannot be credited to future years or events. RMC will not issue refunds or credits due to failure to redeem a discount during the registration process. g.	Lost or stolen credentials will not be replaced. In the event Credentials are lost or stolen, new Credentials will need to be purchased for a Participant’s continued access to Events. h.	RMC reserves the right to revoke a Credential for any reason in RMC’s sole direction (for example, if anyone other than the authorized individual tires to use a Credential. As noted in Section i(a) above, RMC will not issue refunds for Credentials that have been revoked). ii. Credentials Policy - RMC Credentials are issued to, can be picked up by, and used by only the individual named in the registration. RMC Credentials are non-transferable. All RMC Credentials are the sole property of RMC, and can be revoked at anytime in RMC’s sole discretion. 7. How will I know that my registration has been confirmed? You will receive a purchase receipt immediately after finalizing the transaction. You can expect to receive a detailed registration confirmation email within one business day. 8. What are RMC’s accommodations for the disabled? The hotel has ADA compliant access to the lobby, check-in desk, to multiple rooms, bedrooms and meeting rooms. If further assistance is required, please contact the Eden Roc at (305) 531-0000. 10. I just found out I can’t attend for a really good reason. Can I get a refund? 12. How can I market my product or service at RMC? 13. Now I’m registered, how can I find out who is speaking and performing at the event? We will make scheduling information available closer to RMC. Keep checking the official RMC website for the latest information regarding schedule events. It’s the best source for all your planning needs. 14. What kinds of topics are covered at the REVOLT Music Conference? The REVOLT Music Conference is a content culture and music oriented conference expertly focused on providing networking opportunities, insights on current trends, best practices, strategies, and solutions – with music showcases and performances only REVOLT can deliver. 15. What are RMC’s policies regarding refunds, credentials, and the terms and conditions? PLEASE READ! b.	RMC Credentials may not be used as a prize in any form of promotion, contest, game, and sweepstakes without pre-approval from the RMC.